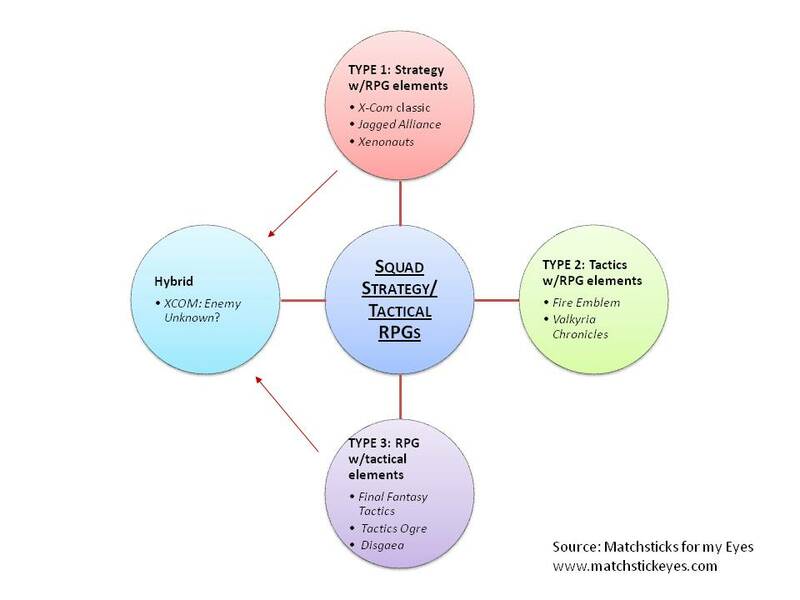 I originally wrote this post in 2012 during the lead-up to Firaxis’ XCOM: Enemy Unknown, proposing a classification system for squad-based games and tactical RPGs across PC and consoles. Since then, to my delight, the genre has gone from strength to strength. XCOM: Enemy Unknown turned out to be superb – it was definitely a hybrid, by the way, combining the lethality and dynamic campaign of Type 1 games, the Type 2 emphasis on careful movement and not triggering too many enemies, and the soldier customisation of Type 3. XCOM 2 is due out next year for PC. The Fire Emblem series is posting strong sales on 3DS, and Valkyria Chronicles has been ported to PC. Indie titles such as Expeditions: Conquistador have added spice. Welcome back, old friends – we missed you. This is a good time to be a fan – as I am – of games that mix squad-level strategy and RPG mechanics. Last year saw the PSP release of the excellent Tactics Ogre: Let Us Cling Together, a labour of love that blended fine-crafted gameplay, a mature story, and gorgeous production values. This year won’t lack in quantity: it’s already seen a Jagged Alliance remake for PC and the recent PSP launch of Gungnir. Two more titles are due out in a few months (Firaxis’ XCOM: Enemy Unknown for PC, and Atlus’ Growlanser: Wayfarer of Time for PSP) and we may well see a third soon, Goldhawk’s Xenonauts (PC). The above names suggest this is a pretty broad genre, and in fact, I don’t think there is a single squad-level strategy/RPG genre so much as there are several distinct subgenres, spread across PCs and home and portable consoles. As such, this is also a good time to review each subgenre – which games it contains, what makes it distinctive, how it compares to the others, and how it’s faring.